In a Federal Register notice issued today (March 5, 2014), the U.S. Department of Transportation (DoT) invited public comments on U.S. Air Force plans to implement preoperational L2C and L5 civil navigation (CNAV) messages on GPS Block IIR-M and IIF satellites next month. 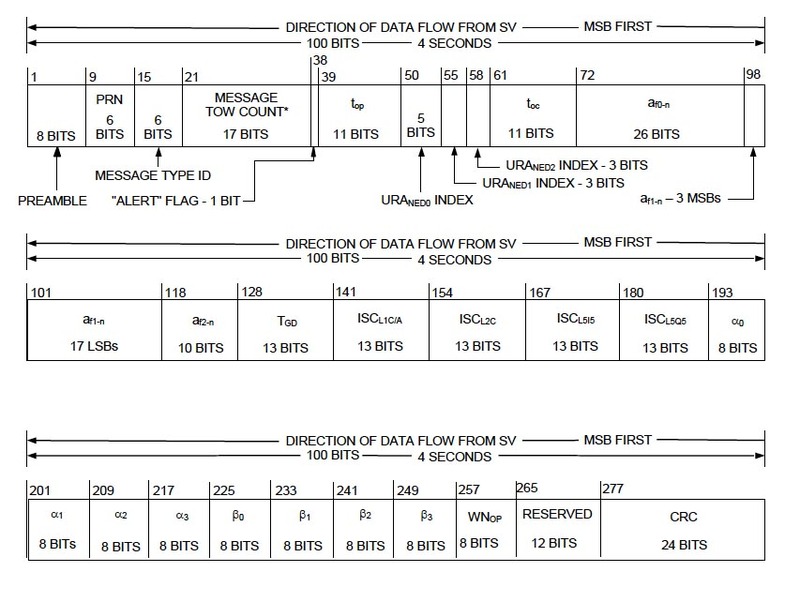 The CNAV message content will include broadcast message types (MTs) 10 and 11 (with satellite ephemerides), 30 (satellite clock data, and corrections for ionospheric and group delay), and 33 (parameters related to correlating coordinated universal time (UTC-USNO) time with GPS system time) as defined in interface specifications for the L2C signal at 1227.60 MHz and L5 signal at 1176.45 MHz: IS–GPS–200G and IS– GPS–705C, respectively. The new messages will replace MT-0, a default or placeholder message with limited content. Deadline for receiving the comments is April 4. The announcement is the latest development in differences between DoT and the Air Force over implementing the new signals, which surfaced in a letter from outgoing Deputy Secretary of Transportation John Porcari in January. Porcari expressed his agency’s concern that the approach and “nonstandard engineering tools” military officials plan to use to implement CNAV could put GPS users at risk. A series of conversations between the agencies about the CNAV test place preceded today’s announcement. “The pre-operational CNAV messages are being made available for user familiarization and for equipment development,” according to the announcement. “They should not be considered operational pending availability of OCX monitoring and control capabilities, and therefore they should not be used for safety-of-life or other critical purposes.” Warnings about use of ‘‘Developmental Signal-in-Space, non-operational’’ will be included in Notice Advisory to NAVSTAR Users (NANUs). The CNAV message capability will be implemented using current GPS ground control capabilities in advance of more automated capabilities to become operational with the Next Generation GPS Operational Control System (OCX). Currently, seven GPS IIR–M satellites broadcast L2C and four GPS IIF satellites broadcast L2C and L5. On average, users may expect at least one L2C-broadcasting satellite to be in view at all times, according to DoT. The Air Force intends to broadcast L2C and L5 messages with the health bits set healthy. According to the Federal Register announcement, the CNAV data uploads will be integrated into current operations, but initially the uploads to satellites will occur only twice per week. Future tests and implementation of the remaining CNAV message types will be announced under separate Federal Register notices.